Having a great accountant is crucial for managing both business and personal finances. If you are a business owner in the San Antonio area, Guerrero CPA can handle everything from payroll to bank financing and more! Our dedicated team have helped local businesses with their accounting for years, and would be happy to discuss creating a solution custom tailored to your individual needs. Get in touch with us today, or read more about our services below! 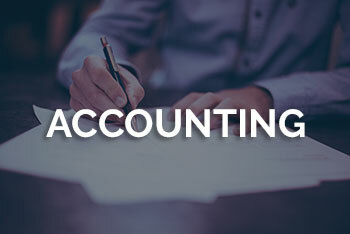 Guerrero CPA can help individuals and small businesses in the San Antonio, TX area with a variety of accounting tasks including bookkeeping services. We understand that businesses, both large and small, have a lot of tasks they must fulfill in order to keep their business afloat. Whether you need help getting your finances under control or help to create a budget for your business, our accounting services can help. Perhaps you need to get your personal finances in order and stick to a budget. We can help you become more organized, maintain investments, and get ready for tax season. Guerrero CPA is a committed team of financial professionals that provide accounting services and more to clients in the San Antonio area. Regardless of whether you are an individual or a business, it is important to make sure your financial records are neat, organized, and easily accessible. This will help limit confusion down the line and make the tax process easy and streamlined. We do all this and more for our clients and include things like QuickBooks cleanup, business valuation and payroll solutions with our accounting services. 2. You can easily generate the reports with the information you need, so you always know where your business stands. You instantly know whether you're making money and whether your business is healthy. 10. You can pay your bills and bank online. Setup your current bank account in QuickBooks, and you're ready to pay your bills without licking envelopes, sticking stamps, or printing paper checks. Just write checks in QuickBooks as you normally would, then click a button and your participating bank does the rest! Pay anyone in the U.S. from your credit card companies to your pizza service. Online Banking also lets you download your monthly statement from your participating bank directly into QuickBooks for easier reconciliation. - Study and evaluate your software and accounting needs. - Recommend software and hardware requirements. - Install software, design and set up chart of accounts and entire accounting package including payroll, accounts receivable, inventory, accounts payable, etc. - Train client or client staff in use of software to meet their accounting, management and tax needs. - Follow up training to ensure the client is "on the right track". - Monthly, quarterly or annual review of client QuickBooks data to assist in tax preparation and management reports. - We come to your location. - We focus on the individual issues facing your business. - We will be there to answer your specific questions and concerns. Overhaul your accounting system with a QuickBooks Clean-up. Whether you need to prepare for tax time, a financial review or you just need to clean up some problem areas, you'll be prepared with a QuickBooks Clean-up. In four (4) hours, a QuickBooks Professional Advisor will help you clean up and organize your bookkeeping system. Along with our bookkeeping services, we offer payroll solutions. These services will meet your business's needs and enable you to spend time doing what you do best -- running your company. Payroll can seem like a daunting task. We help you navigate through all of the forms and laws to keep you in compliance. Save time and money by allowing us to take over your bookkeeping and payroll services. Cost segregation is a highly beneficial and widely accepted tax planning strategy utilized by commercial real estate owners and tenants to accelerate depreciation deductions, defer tax, and improve cash flow. The best time for a cost segregation study is the year the property is placed in service by the current taxpayer. Whether new construction or acquisition, it is generally most beneficial to maximize depreciation deductions from year one. According to studies, around 80% of businesses fail within the first two years of operation. While many factors can lead to this happening, poor money management is considered to be one of the primary catalysts that can push a business under. Small businesses are particularly susceptible to this, as owners will typically be focusing on running multiple facets of the operation to make up for lack of staff and save money. This can ultimately lead to things falling by the wayside, and important aspects of business (like finances) being put on the back burner. The reality is that, for many people, finances can be confusing - especially when dealing with employees, health insurance payments, taxes, figuring out deductibles, and working through audits. Finding the right company to provide professional accounting services is crucial to making these processes easier, and will give you as a business owner the freedom to focus your attention on other aspects of the company, avoid costly mistakes, and even save money. If you operate a business in the San Antonio area and are interested in learning what a professional accountant can do for you and your business, give our team a call today!